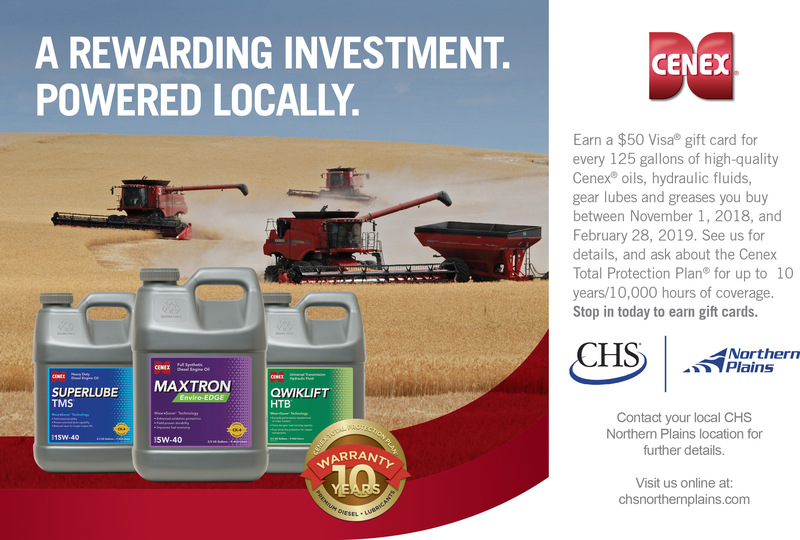 Produced by CHS, these advanced products utilize the latest technology to help enhance wear protection and extend equipment life while reducing downtime and maintenance costs. From top-notch transmission fluids formulated for the most sophisticated hydraulic systems to advanced synthetic diesel engine oils for superior soot protection, extended oil drains and increased fuel economy to compatible greases with a wider temperature range, we can help you find the right lubricants for every piece of equipment you operate and every challenge you face. Contact us to learn more about our Gift Cards for Gallons program. Our team is ready to assist you with bulk delivery, oil analysis and any technical questions. Contact your local Energy Specialist.